Ladies, it's that time ! Time to step your shoe game up ! LOL. No seriously, I'm a shoe fanatic so you will see many posts on shoes. I can't get enough. You can tell a lot about a woman from the shoes she is wearing. Shoes can show confidence, style, the ability to take risks, whether you are boring, unwilling to take chances, or just don't know how to dress yourself. LOL. Shoes can change an entire outfit around. Putting on a pair of jeans and a plain shirt is not a problem at all......if you have the right shoes ! 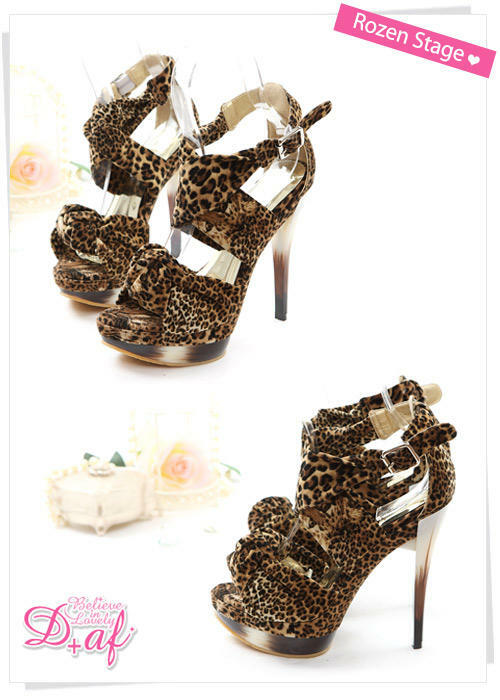 In fact, your basic ensemble will help shoes to stand out. Certain shoes are so bold that you have to let them stand alone. You can't wear something overpowering with these kinds of shoes. Those are the shoes I love. 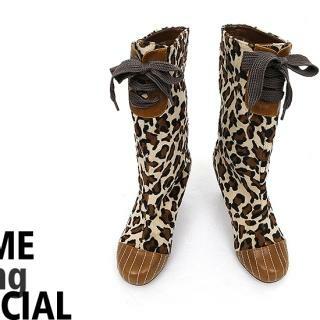 Even better....a leopard print pair. 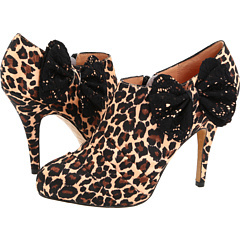 Nothing makes a statement like leopard print shoes. Here are a few that I have found recently that I just can't get off my mind ! Click on the links to find them ! Do you all SEE the heel? The way the color goes from white to brown? Goregeous ! GET A CLOSE UP OF THESE BABIES !